Orange is the New Black is Netflix’s new hour-long series set in a women’s prison that mixes elements of comedy and drama. The show is Netflix’s fourth attempt at original programming, and while it appears to be a TV show, the only way to watch the show is by streaming the show through a Netflix account. 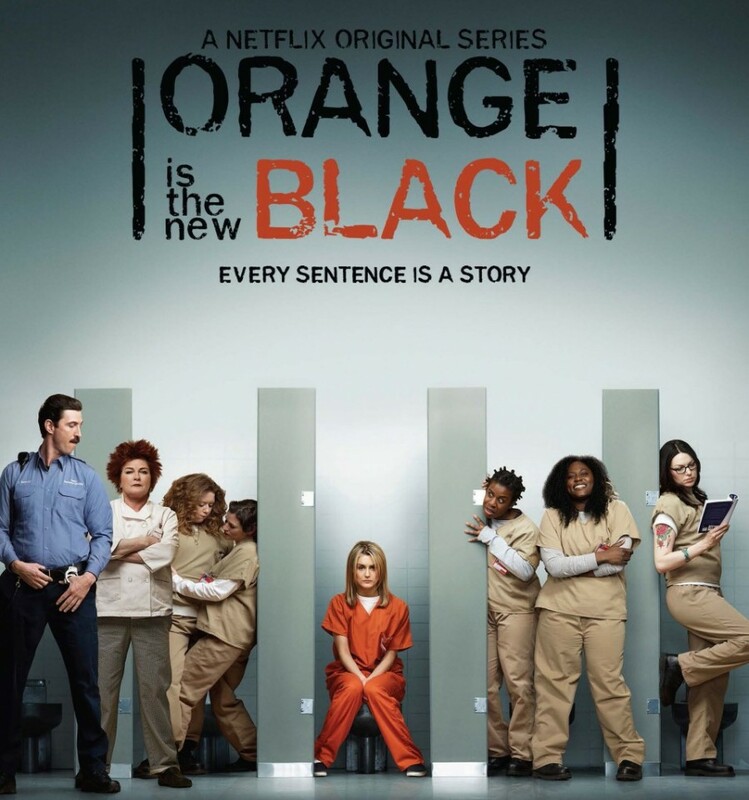 The show was created by Weeds creator Jenji Kohan, and like Weeds, Orange is the New Black tells a unique story from the perspective of an unconventional female protagonist. The series is based on Piper Kerman’s memoir documenting her time in a women’s minimum security prison in upstate Connecticut. The female protagonist in the show is also named Piper, and the show’s comedy and drama is based on her being forced to transition from her upper-middle class life with her fiancé, played by Jason Biggs, to life in prison. The show is often funny, and while the minimum security prison seems surprisingly dangerous, it is not as though the prison life is similar to that of HBO’s Oz. Many of Piper’s fellow inmates have goofy nicknames and seem to be women who have encountered misfortune more than they are hardened criminals. The show features an unsavory guard who is shown smuggling contraband for the inmates. However, the warden is portrayed sympathetically, while a different guard is portrayed as being kind to the inmates. While the show is not particularly focused on the public policy issues that surround prisons, the major plotline in one episode follows the inmates attempt to capture a chicken, believed to carry drugs, in the prison yard; issues such as the smuggling of contraband and the ethics (or lack thereof) of prison staff often come up. Some of the issues raised in the show present interesting questions involving bioethics. Corrections officers regard inmates differently than medical staff regard patients. There is little concern for the inmates’ autonomy in the series, and, I suspect, in real life. By definition, prison requires the loss of liberty, and unlike in a doctor-patient context, inmates realize that seeking the help of corrections officers will elicit further retribution by fellow inmates. While the warden is sympathetic towards Piper, he repeatedly mentions that he will not be able to help her through her time in prison. This is a practical reality understood by both prison staff and the prisoners. This is not to diminish the job of corrections officers, but their time is spent differently than hospital staff. For instance, the warden is forced to view requests for seemingly innocuous items, such as a new freezer, with a great deal of suspicion. These are a very different set of concerns. Still, many of the misdeeds on the show are committed by the prison guards. One guard is shown bringing contraband into the prison, while another is involved in a sexual relation with an inmate. Given that these events occur in real life, these are not exactly revelations when portrayed on the show. What is interesting is that the show does not portray the love affair negatively, but simply portrays the guard and inmate as two people in love. This may be because the show does not have many ways to include a romance, but it is surprising to see such an ethically dubious act portrayed positively. These considerations are decidedly not the focus of the series, but are there to those who want to pay attention. Overall, the series is well-written and the performance by Taylor Shilling in the main role is very strong. The show’s plot is decidedly different from standard TV fare, and the critical acclaim it has received is well justified. The show is definitely worth checking out, and I’ll continue to watch the second season.